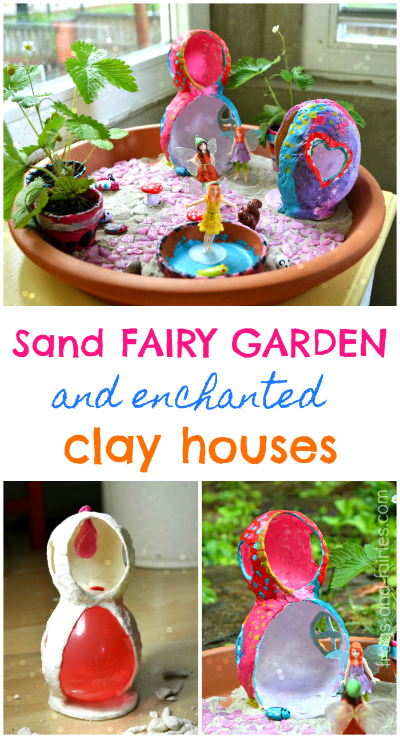 Make you own sand fairy garden, including colorful clay fairy houses. 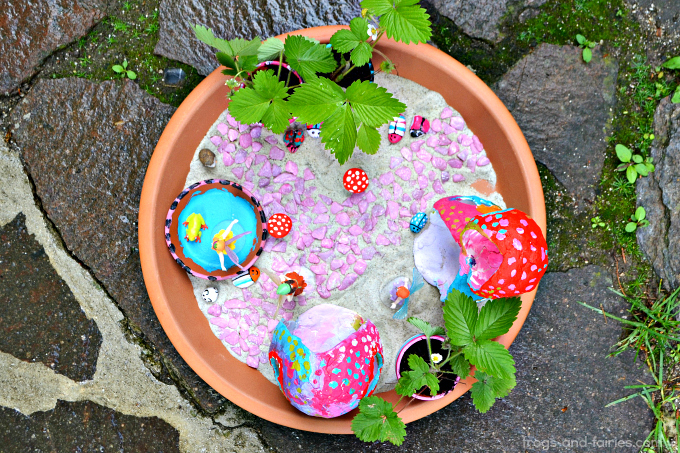 This whimsical sand fairy garden will offer kids a mini playspace of their own! 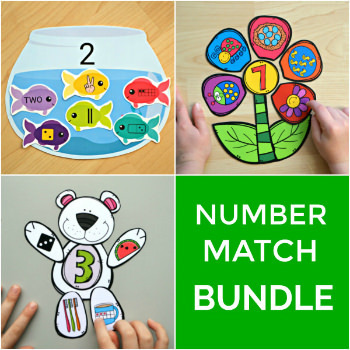 The opportunities for customization and imaginative play are endless! 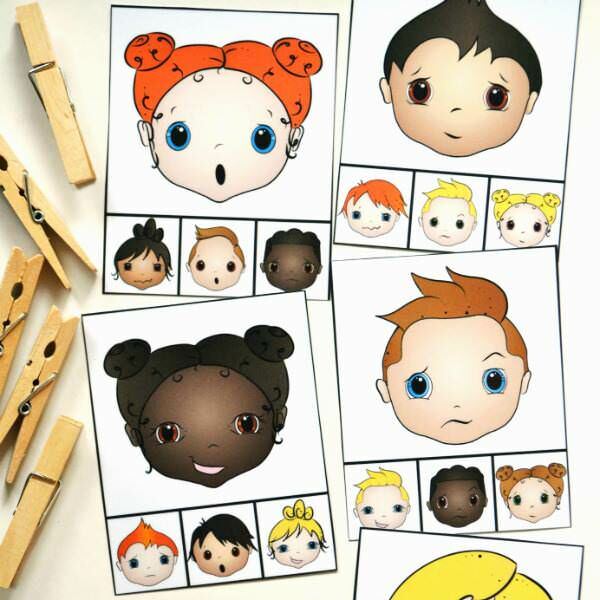 My daughter loves anything fairy and magic related, that’s why I knew this project would be perfect for us to do together. 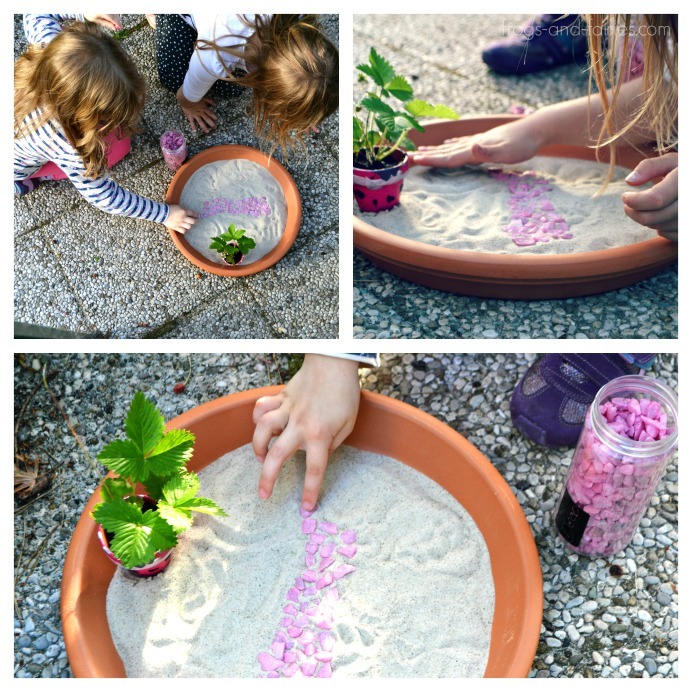 We made our own version of fairy garden and used sand instead of soil for a base. 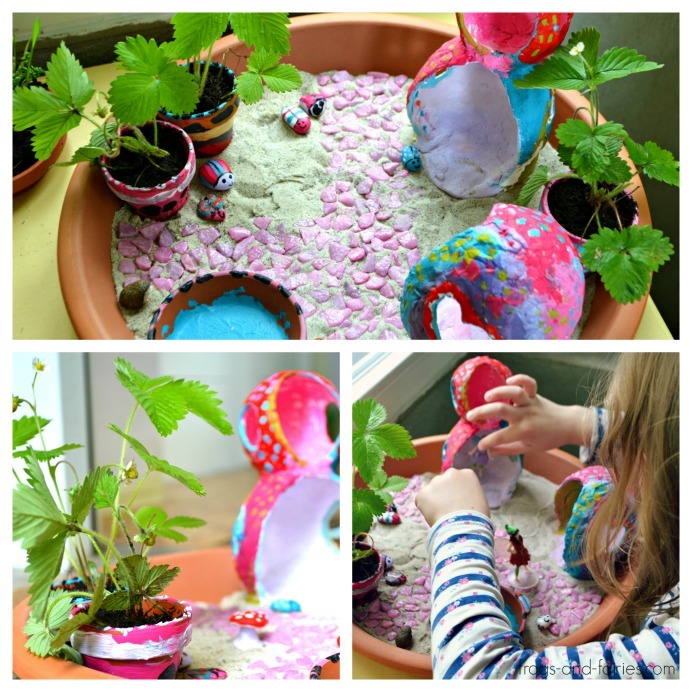 I knew she will also want to take her fairy garden to the balcony and even play with it inside our home, therefore using sand was a better option. But we did decided to plant some wild strawberries in mini clay pots. They add a perfect pop of green color and look really adorable inside the fairy garden. The process we used to make these fairy houses is similar to Troll inspired pod houses. The recipe for homemade clay is the same. 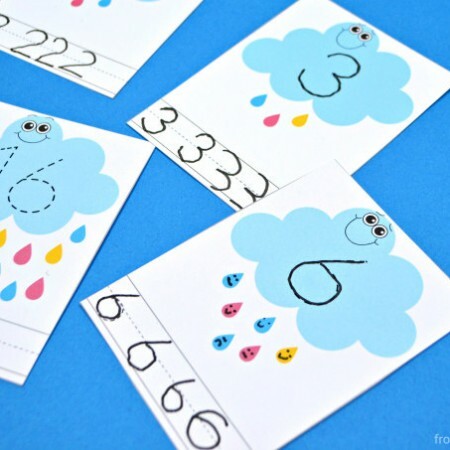 See this post for more tips and instructions. This time, we went a little further and even made a two story clay house. 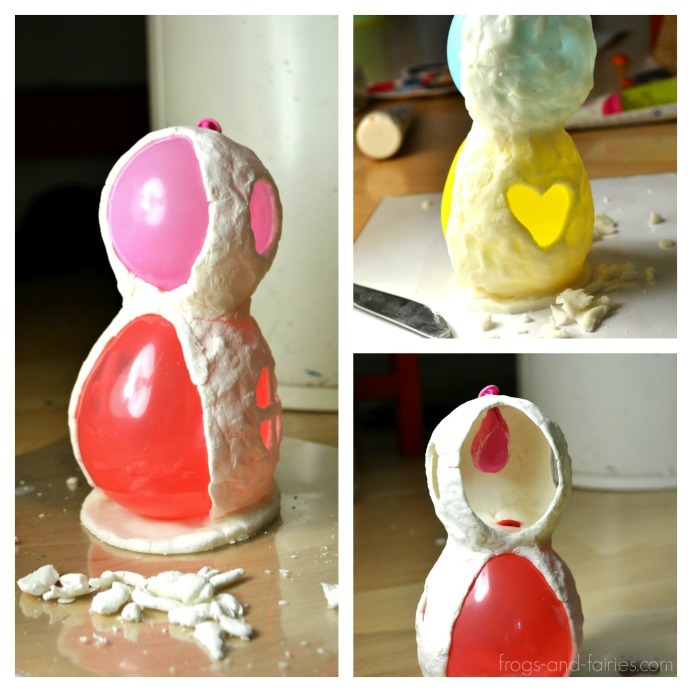 First, we added the clay around the bottom water balloon and then repeated the process on the top one. One thing you need to be careful about is to place the back of the house against a hard object when you’re done building, to make sure, the house doesn’t tilt backwards too much while it dries. 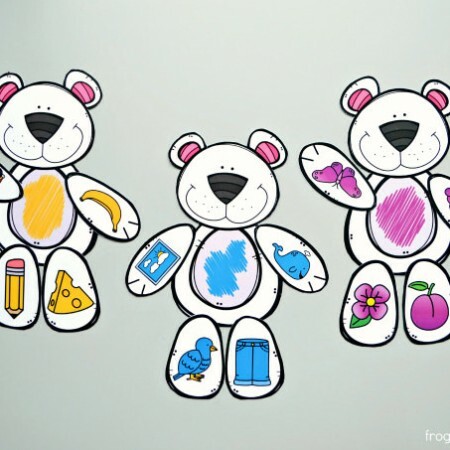 Again, see this post for more tips before beginning with the project. If your unsure, make a simple one story house first. 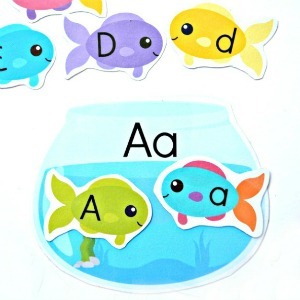 Get some mini clay pots and paint them on the outside with acrylic paint. My daughter decided, that her fairies need a pool to cool of in the summer, so she also painted the inside of a small clay bottom tray with blue paint color. 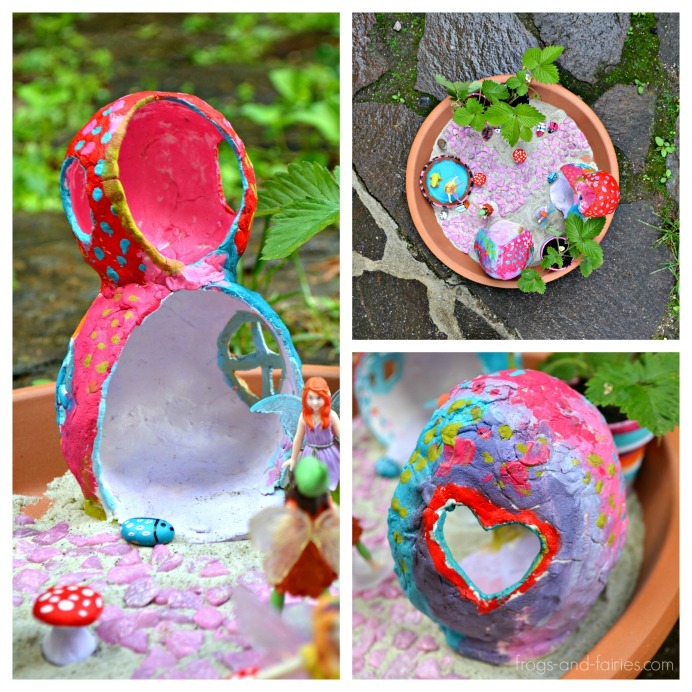 Find a large clay bottom tray, that can be used as a base for the fairy garden. Cover the inside of the tray with sand. It’s time to add some finishing touches! My daughter and her friend built a fairy path with decorative pink stones. We also found some wild strawberries in the garden and planted them inside the little clay pots. When the fairy houses dry completely, you can paint them with acrylic paint. 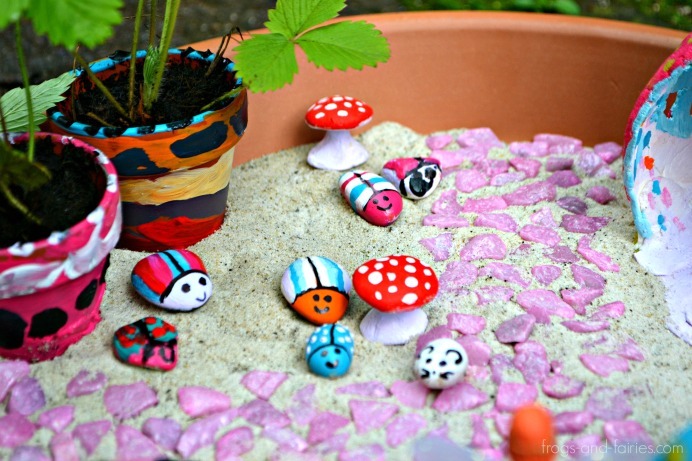 We also painted a few round stones to make them look like adorable magic bugs. The homemade clay that was left over, was used to make little mushrooms. All that is missing are a few toy fairies or other magical creatures and the sand fairy garden is complete! 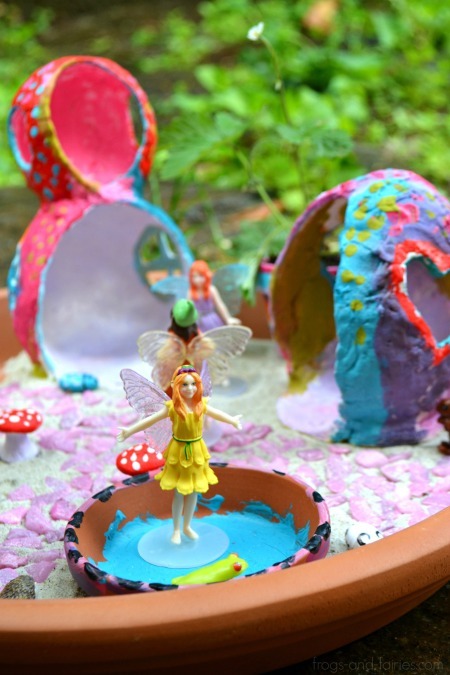 Playing with the magical sand fairy garden, making up stories, while being surrounded by nature. How fun does that sound! Doesn’t this little fairy house look enchanting? 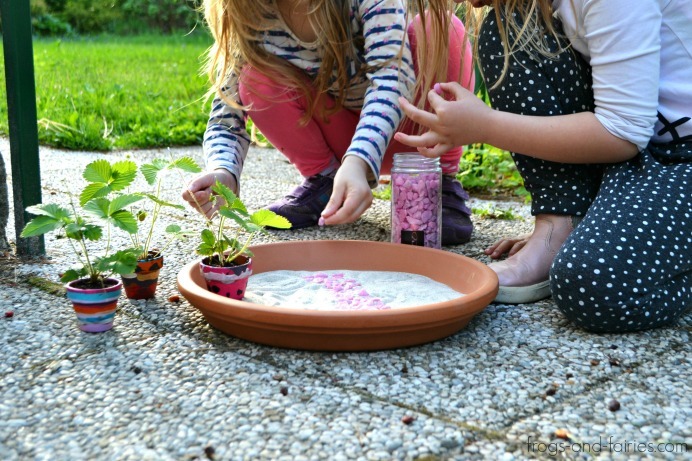 A lovely little garden for kids to play with and very simple to take care for! I’d say that’s a win-win!